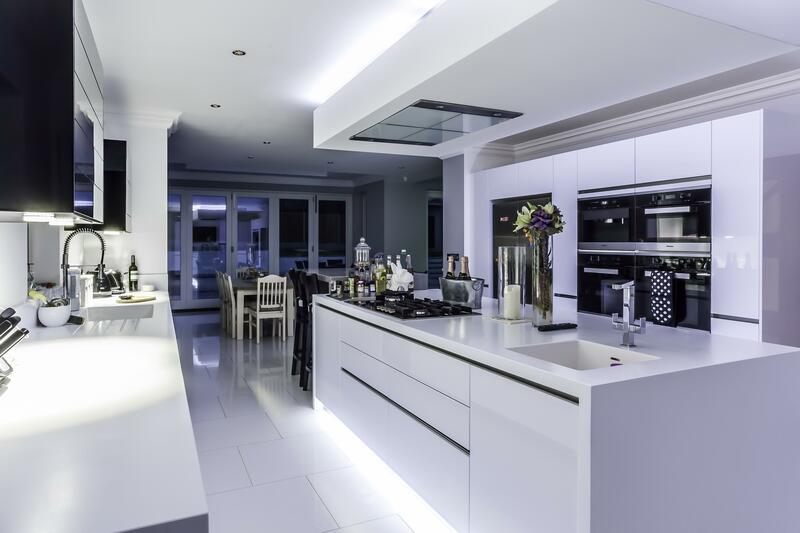 A monochrome mix is sure to stand the test of time. 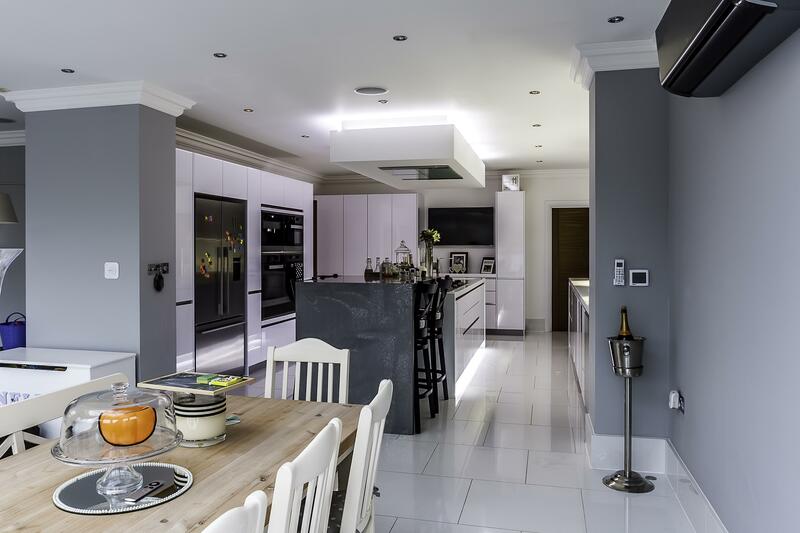 This family kitchen is a great example of a modern kitchen that won’t date. 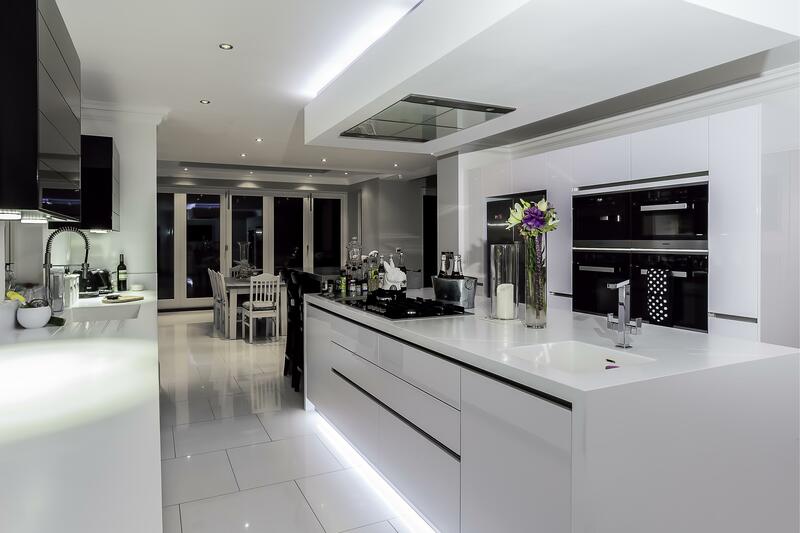 The units are gloss lacquered ‘Polar White’ with black glass wall units as an accent feature. 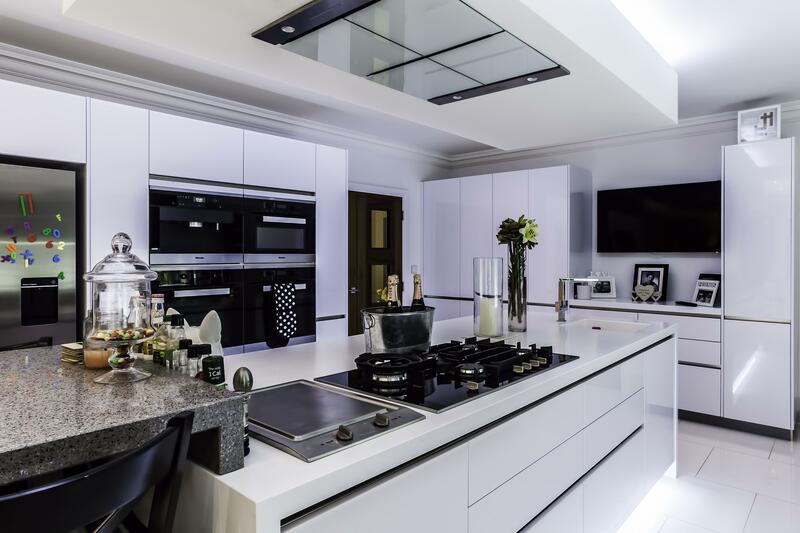 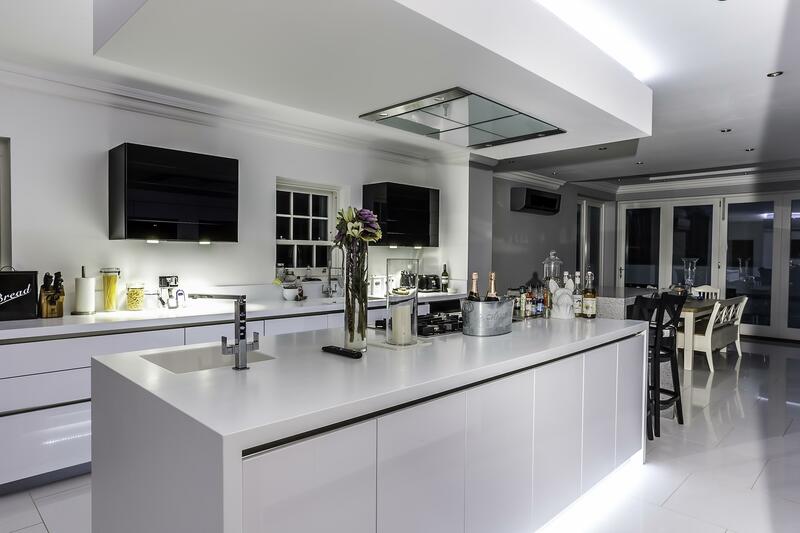 50mm Corian worktops in ‘Glacier White’ complement the units, giving a seamless look. 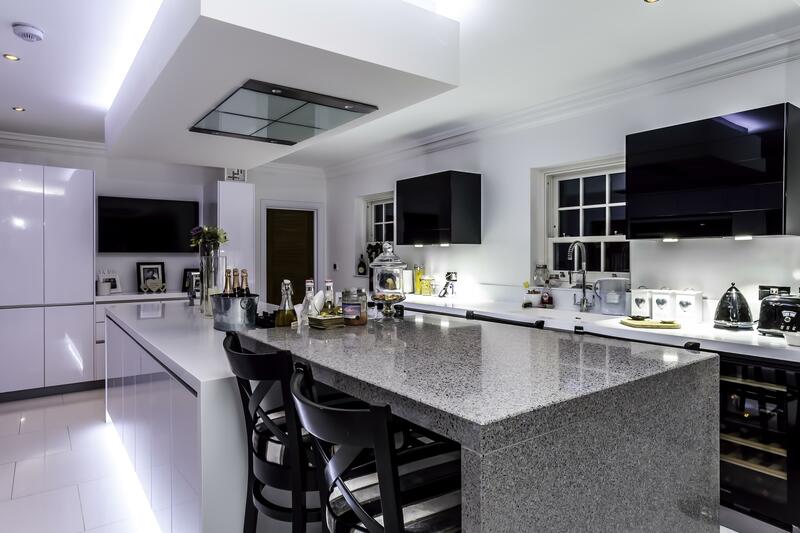 The worktop is also used as ‘downstands’ on the island, which frame the furniture. 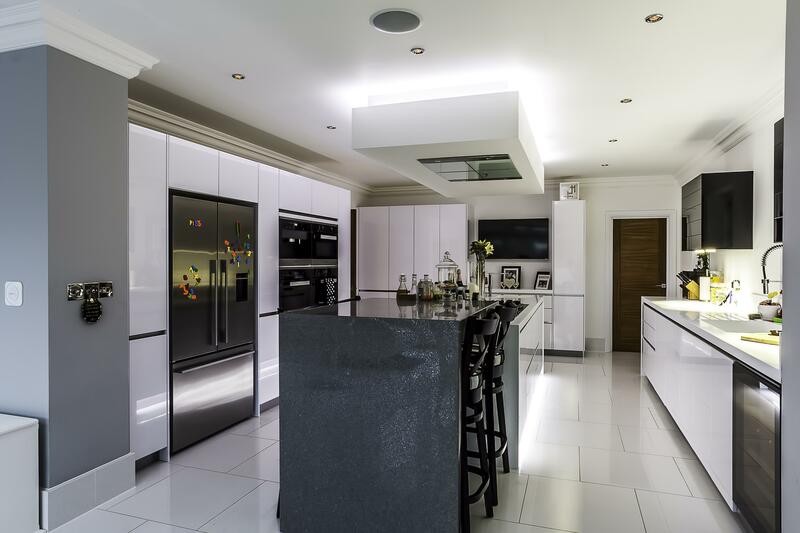 If you’re into gadgets then this kitchen has all the latest high-tech gizmo’s! 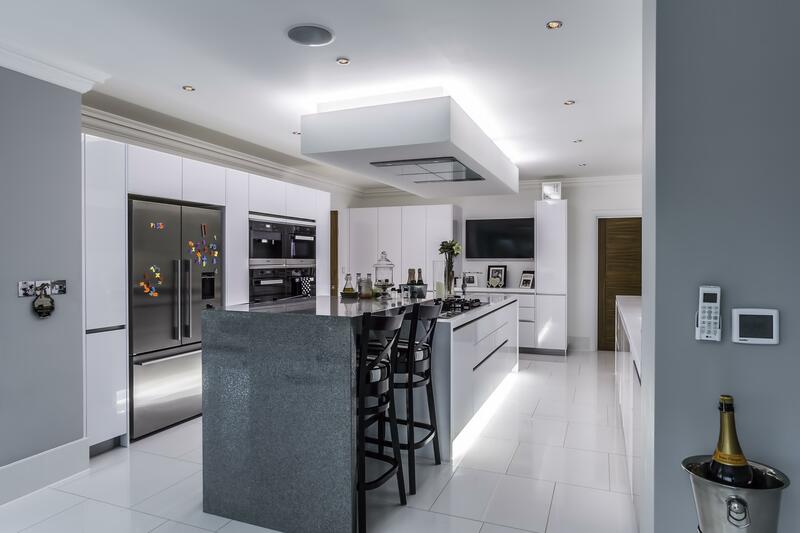 The top of the range Miele appliances consist of two single ovens, with a combination microwave and coffee machine. 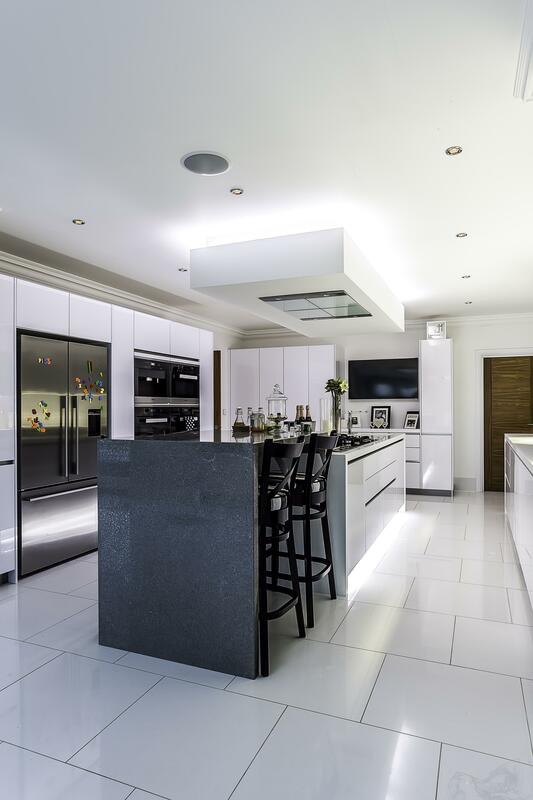 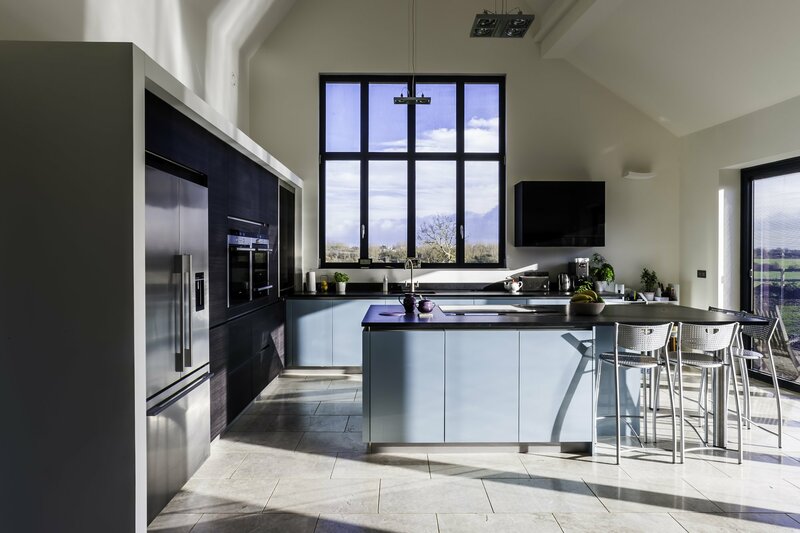 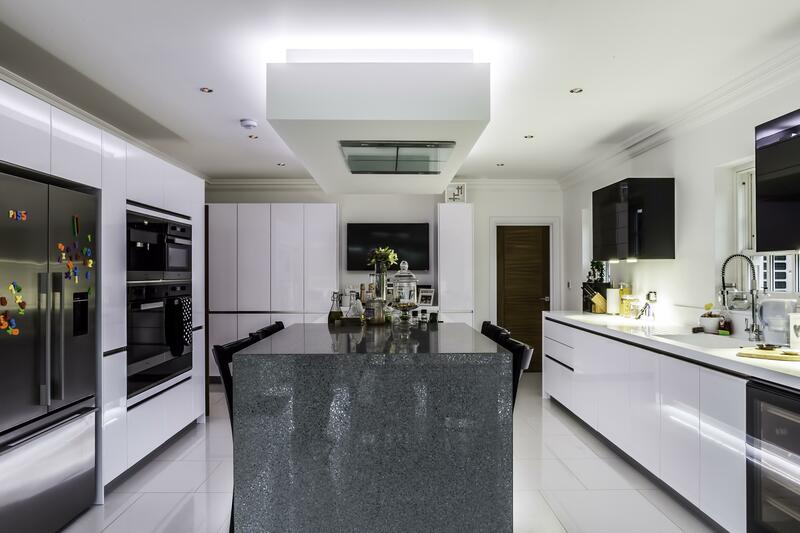 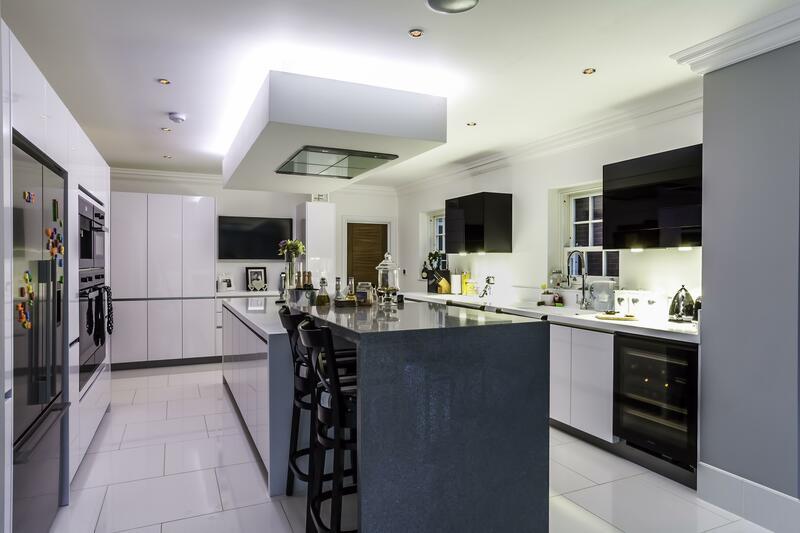 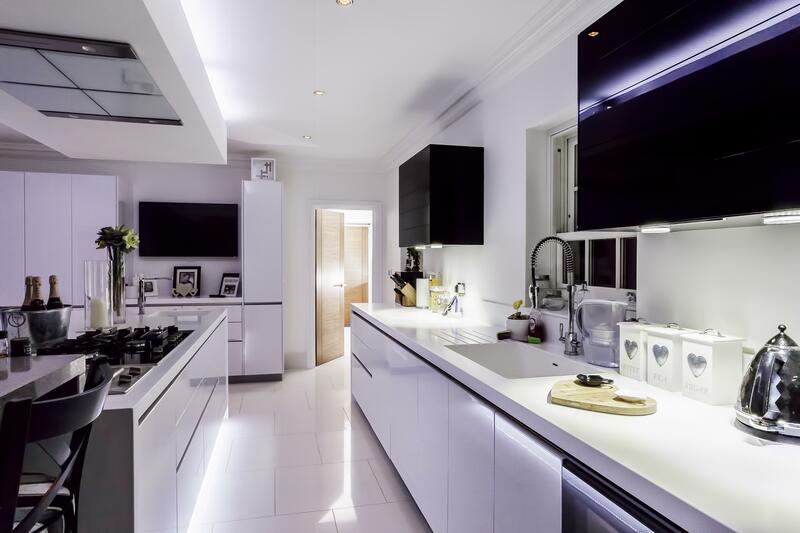 The black glass wall units open electronically at the touch of a button, and the lighting around the island can be turned on and off via remote control. 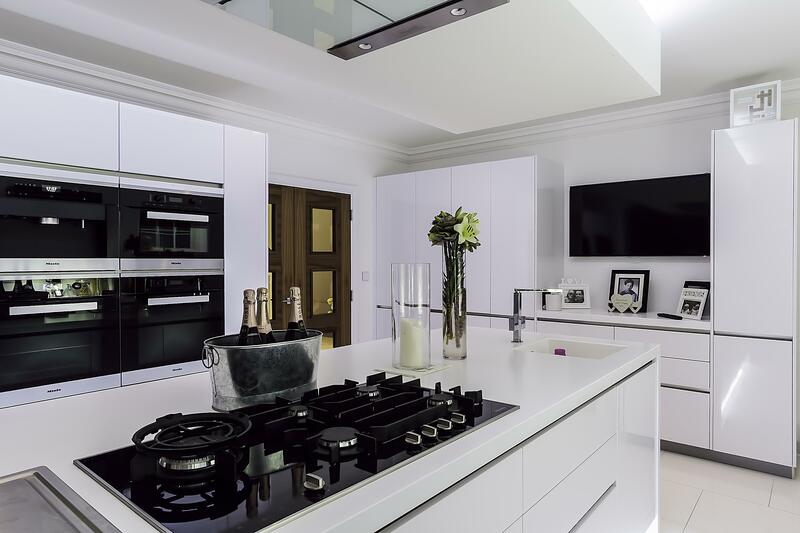 Incorporated into the design was a TV area with surrounding storage, providing a multipurpose space.